cuisine aubergine – Sharing the favourites. Tried and true. Sharing the favourites. Tried and true. There’s nothing quite like comfort food. If you haven’t tried this meal before, you’ll enjoy the familiar flavours that make up this light-yet-rich dish. Cabbage, citrus, dijon, and tahini may not make up a typical flavour profile, but this creamy and toasty-tasing meal has become a new, easy go-to in my household. Preheat oven to 450°F, and line a baking sheet with a silicone baking mat or parchment paper. Using a large, sharp knife, slice your cabbage in half, then cut each half into quarters. Brush the cut sides of the cabbage with olive oil, and press with salt and pepper. Place the eight cabbage wedges onto prepared baking sheet and into preheated oven for 12 minutes, then flip and put back in oven for another 10-12 minutes until nicely browned. Start to prepare the shrimp. Add shrimp, butter, and onion to frying pan. After a few minutes, add the remaining ingredients (except for wine) and sauté for 4 minutes. Once most of the liquid is absorbed, add the wine, making sure no ingredients remain stuck to the bottom of the pan. Sauté for another 2 minutes. In a saucepan, add all of the sauce ingredients (except for the lemon juice and wine). Once the butter has melted, add lemon juice, stir, then add wine, and stir. The desired consistency is not too thick, and not too runny. It should drizzle nicely over the cabbage. Image above is taken before wine is added. Add more wine if it the sauce seems too thick. Arrange cabbage wedges on plate, drizzle with sauce, then top with shrimp and serve! 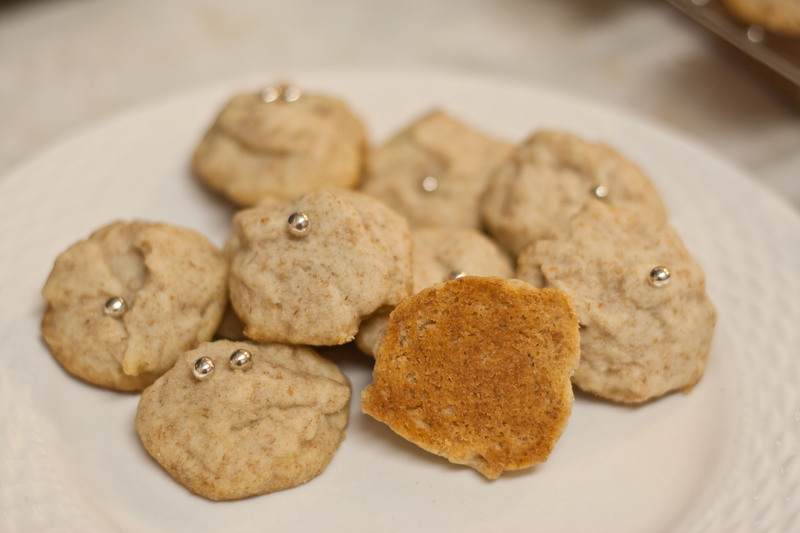 Just because the holidays are over doesn’t mean that baking needs to come to an end. The cold of winter with its howling winds and powerful storms has had me hiding indoors. I find a nice way to get the apartment extra warm is to turn on the oven and bake something. A perfect excuse to make something sweet. This recipe comes from my Nana. She was an expert baker, and this cookie is one of my favourites that she would make. It’s simple and buttery, and not too sweet. As the name suggests, it melts in your mouth! 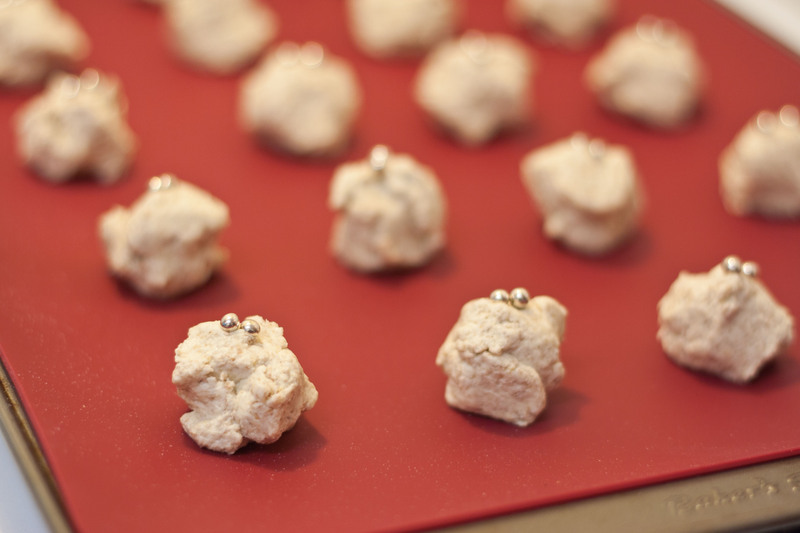 I made them recently with a girlfriend, then when I was home for the holidays, my mom said she had found a bag of the little silver ball candies that my Nana would used to top her Meltaways with, so of course, I had to make them again. I have cut this recipe in half, and it still makes an outrageous amount of cookies. I counted 76. If you are attending a cookie exchange, or baking for lots of friends and family, then feel free to double this recipe and you’ll get about 150 cookies– they’ll be sure to please. 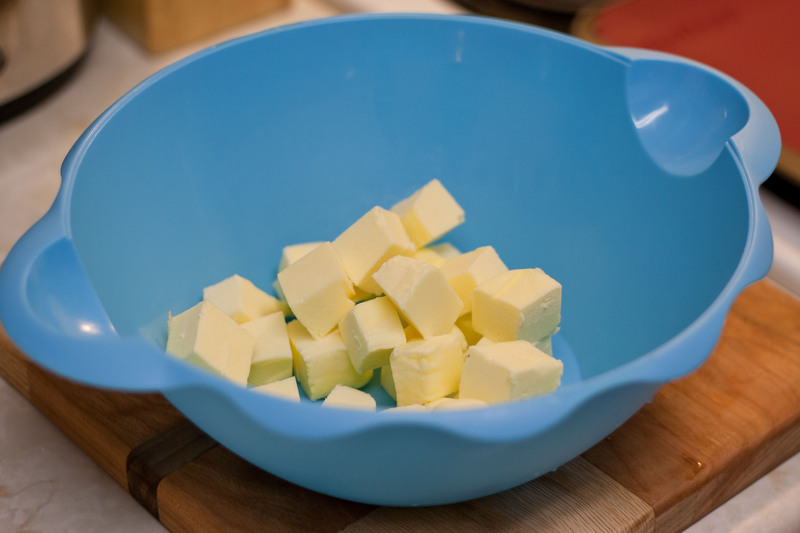 Preheat oven to 325 F, then begin by cubing room temperature butter, and placing it in a large bowl. Using beaters, cream the butter. 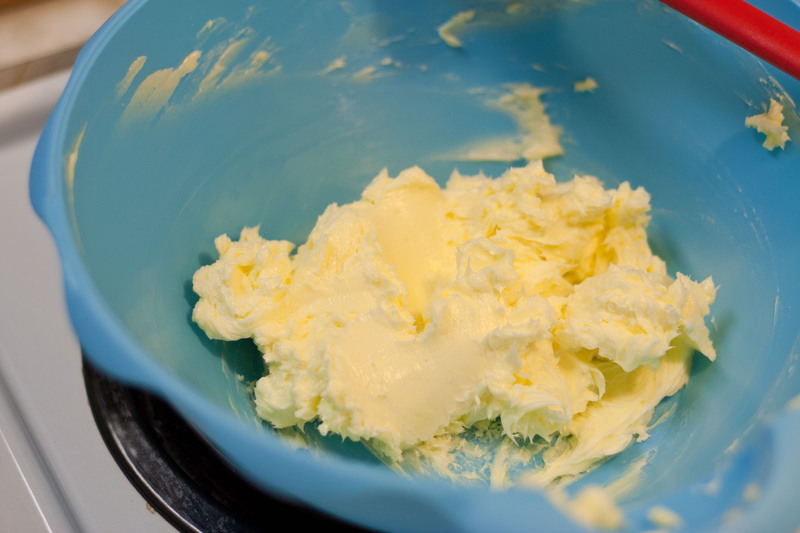 Add icing sugar to butter and beat 1 minute. Add vanilla and flour, beating all for 3 minutes. 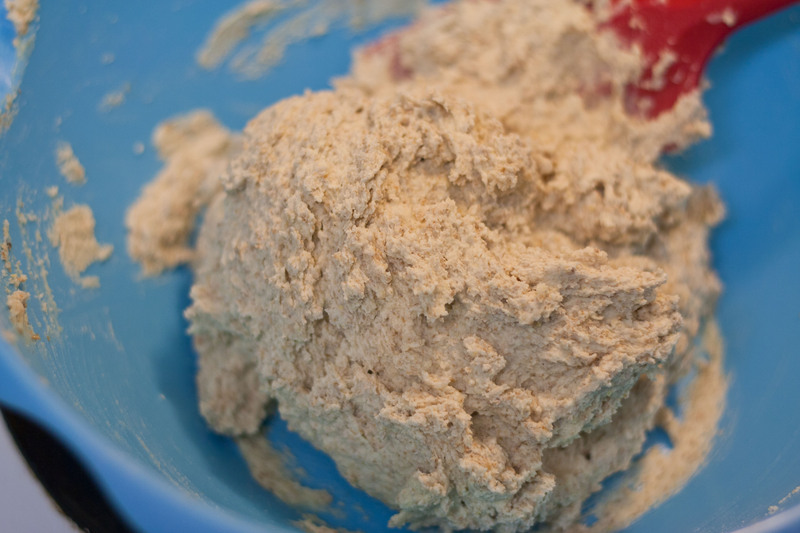 This time, I used whole wheat flour, but the original recipe calls for white all purpose flour, and it really does taste better– well more authentic ‘Nana’, anyway. 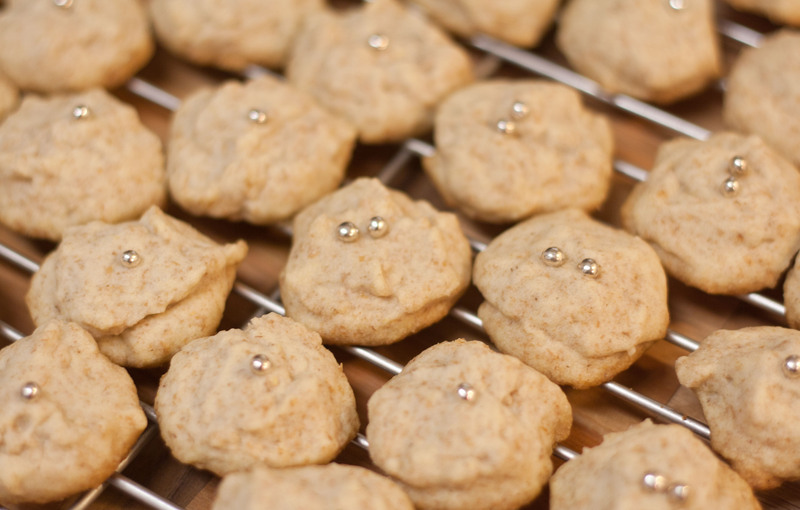 Drop small balls of dough onto a cookie sheet, and space evenly. Dough balls should be very small– these cookies are meant to be a one-bite treat. 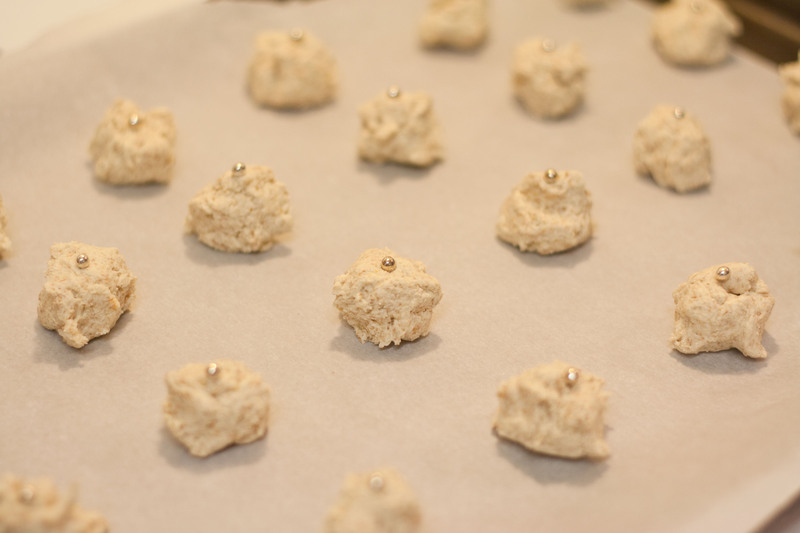 If desired, top the balls with dragées before baking. Between batches, keep the dough in the fridge. For Christmas, I got a silicone baking mat and thought I’d test it out for this recipe. Since I wasn’t sure how the cookies would turn out using the mat, I decided to bake half the cookies on a parchment paper-lined cookie sheet, just in case. Both methods worked well! I was pleased with the results of the mat, and was happy with the easy clean-up. Since the mat is reusable, there was also zero waste. Place in oven for 12-15 minutes. The trick is to make sure the bottom of the cookies are a delicate golden colour. The tops of the Meltaways should not be browned. This recipe comes from Alastair’s mom, though I’m not quite sure where she originally found it. It is delicious, and very easy to prepare. The only part that is at all time-consuming is cutting the fat off the chicken thighs. 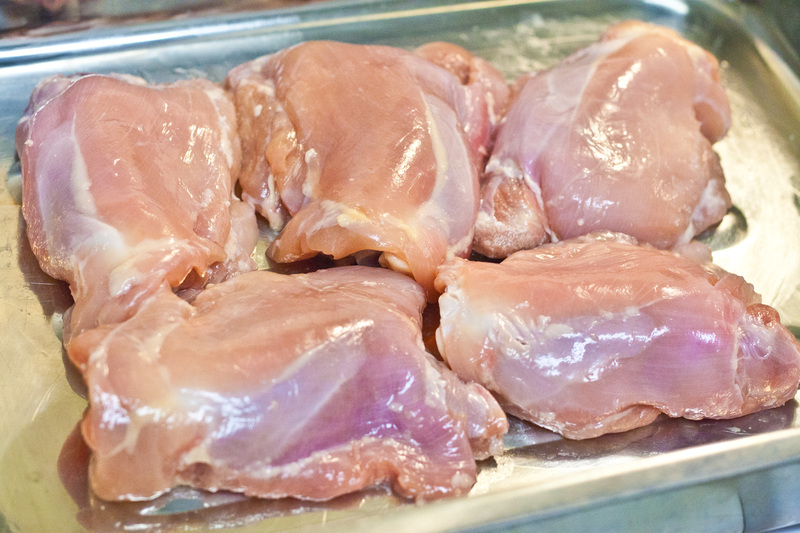 You could even save time by buying skinless thighs; prep would take no time at all! This meal is a hit, because it covers all the bases: it’s sweet, tangy, and has a bit of a kick to it, but is still quite mild. 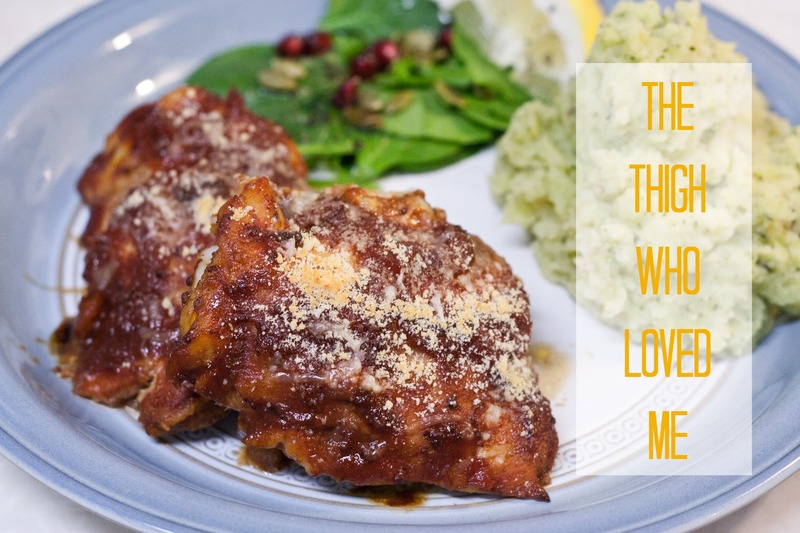 It’s a nice substitute for BBQ chicken, and it’s nice and saucy. Extra sauce is great on potatoes, if you’re serving that on the side. Preheat oven to 400°F. 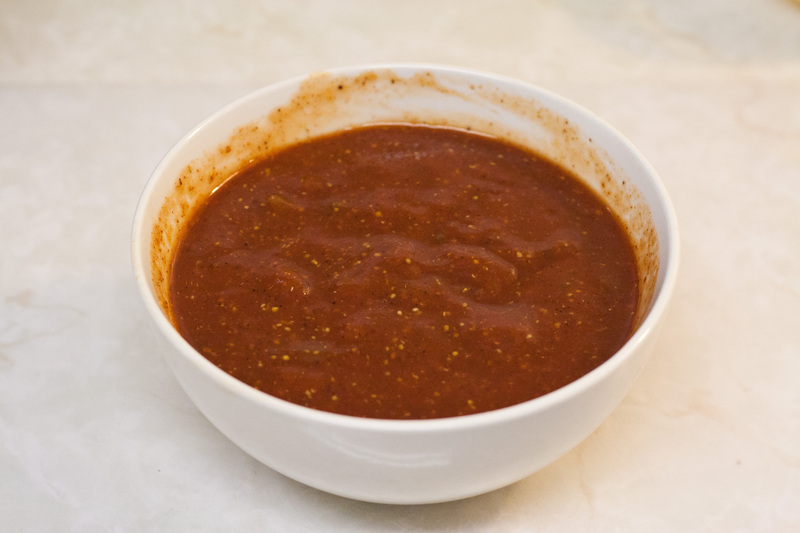 In a small bowl, add ketchup, salsa, honey, mustard, cumin, and chili powder. 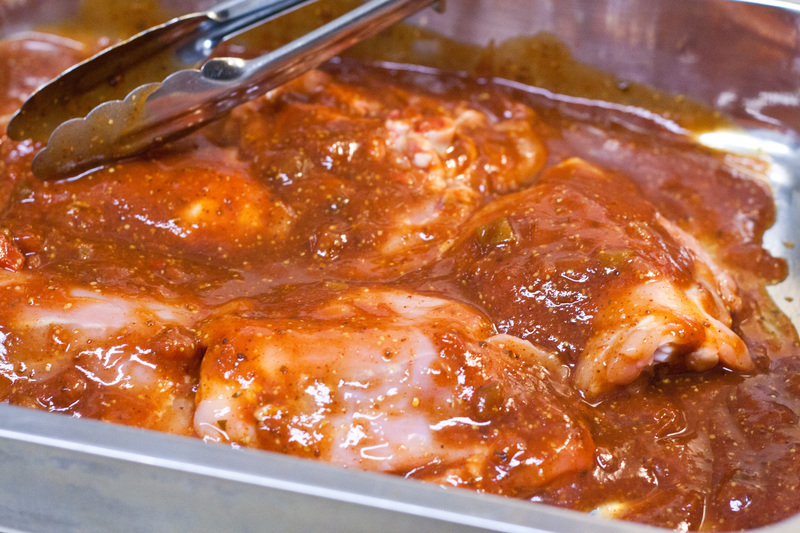 Arrange chicken in a baking dish, and make sure pieces are not overlapping. 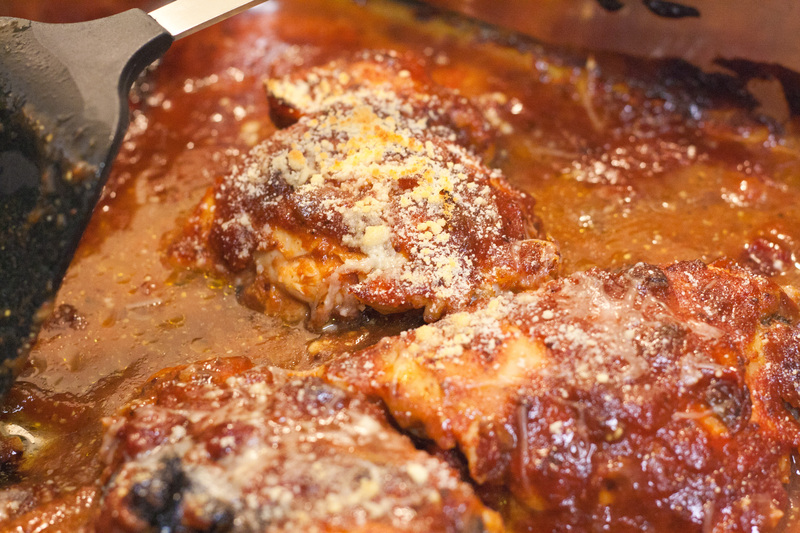 Pour sauce over the chicken, and use tongs to flip over, ensuring each piece is well-coated. Place in preheated oven, uncovered, for 55 minutes. Remove from oven, top with cheeses, then return to oven and broil until cheese starts to brown slightly. Serve hot! This is a no-fail recipe. IT IS SUPER EASY TO MAKE. 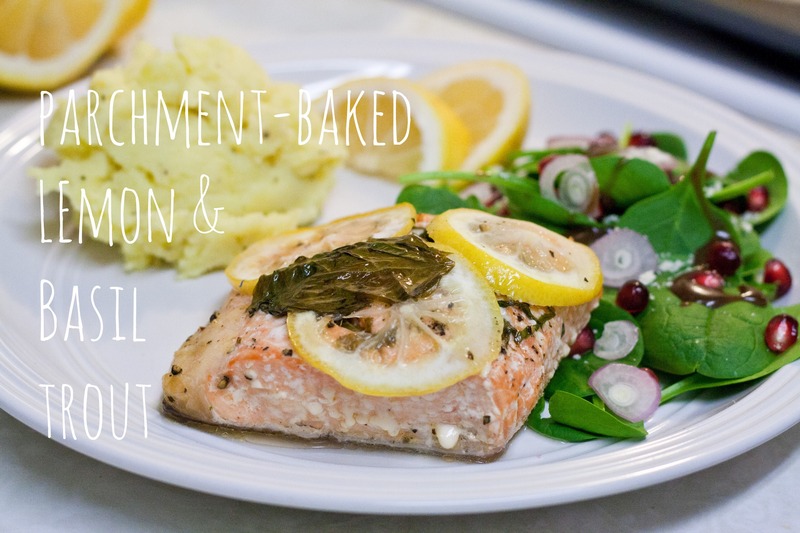 I have made this dish with both salmon and trout (upwards of 20 times) and it’s always a hit; packed with flavour and never dried out. If you’re looking to make an impressive meal, but don’t necessarily have the time for something extravagant with a ton of steps, then look no further! Ready in 20 minutes, with about 5 minutes of prep? Yes, please. 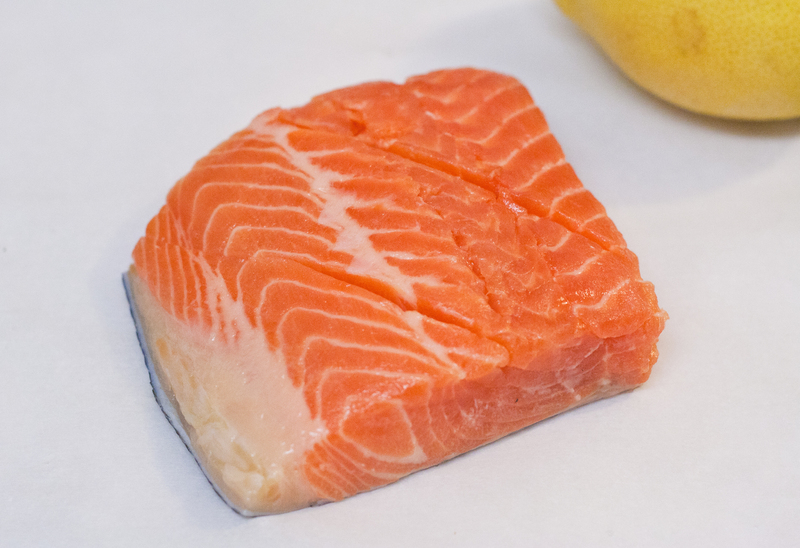 Oh, and leftover trout (or salmon) is great in a sandwich with sliced cucumber and cream cheese. Sometimes I don’t even wait for leftovers, and make the sandwiches right away. 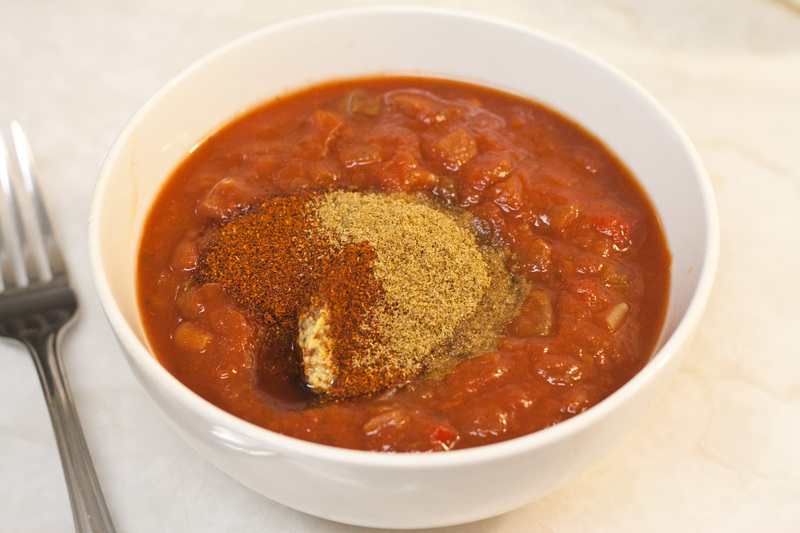 This recipe serves two, but is very easy to adapt for serving more people. 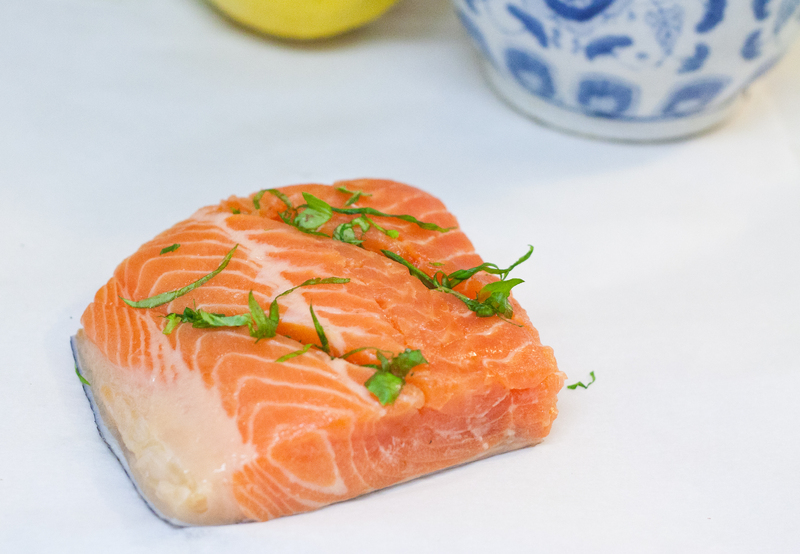 Preheat oven to 400°F, then start by making two deep slits in each fillet. Stuff the slits with julienne basil. 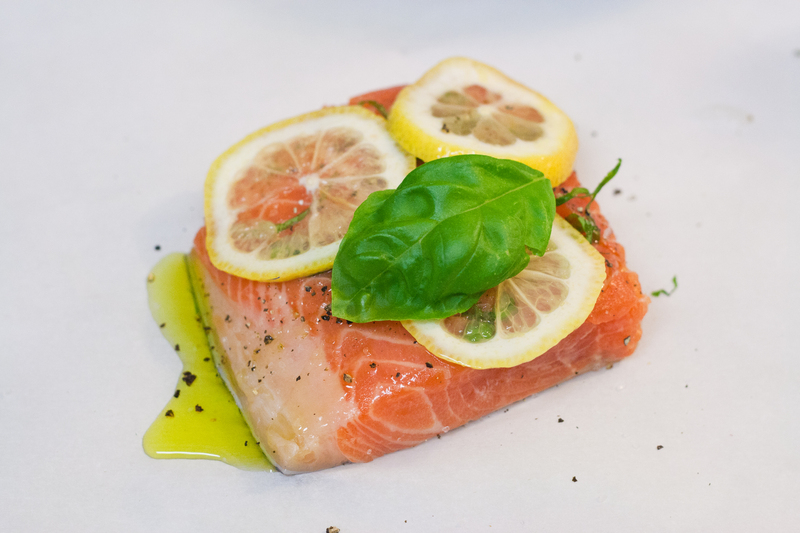 Place trout on a piece of parchment paper, then rub with olive oil and add salt and pepper. 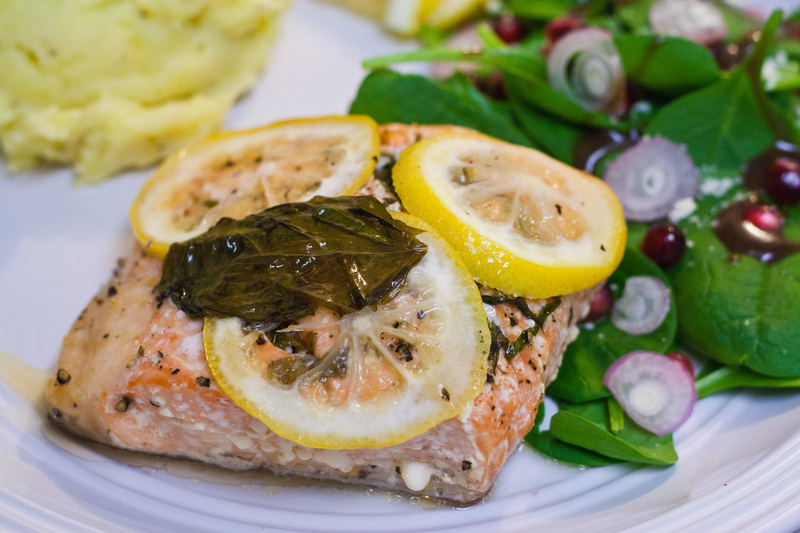 Top fish with lemon slices, then a whole basil leaf. 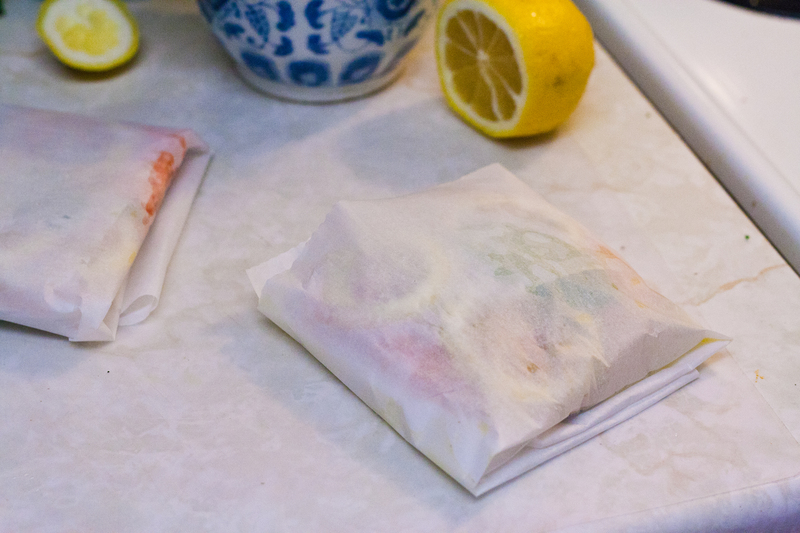 Wrap the parchment paper around the fish to create a packet. Alternatively, you can use kitchen twine, and tie up the parchment as a bundle. Place the packets on a baking sheet, and bake at 400°F for 20 minutes. 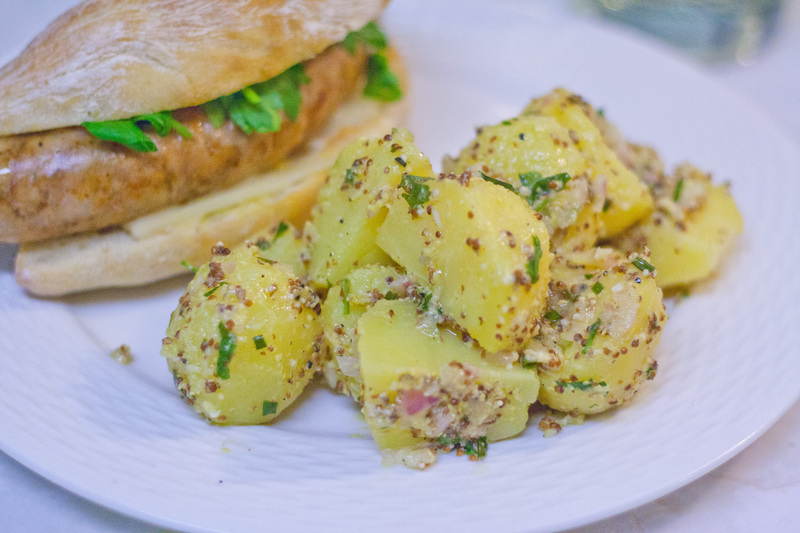 Remove from parchment paper, and serve with lemon wedges. This might be one of the best ways to warm up this fall! 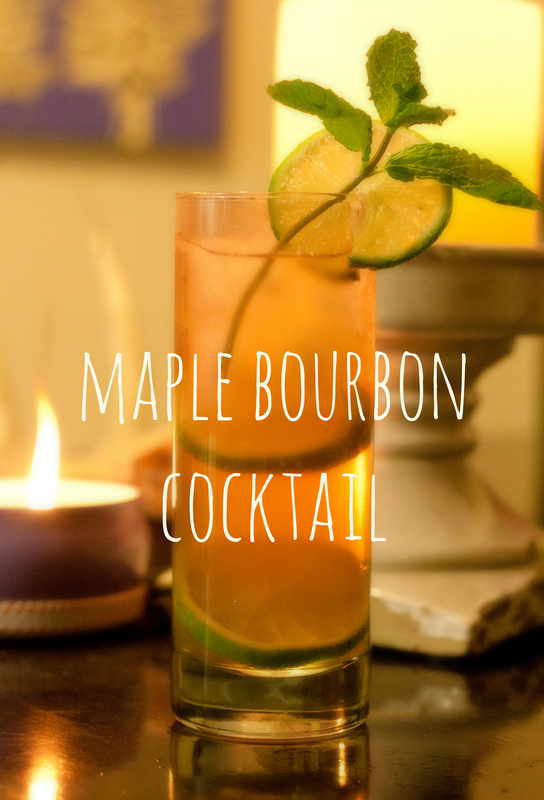 The Maple Bourbon Cocktail is the perfect balance of sweet, tangy, and refreshing. Fill a highball glass with ice. Pour in bourbon, bitters, lime juice, and maple syrup. Stir well. Add in lime wheels, and top with soda. Garnish and a sprig of mint. 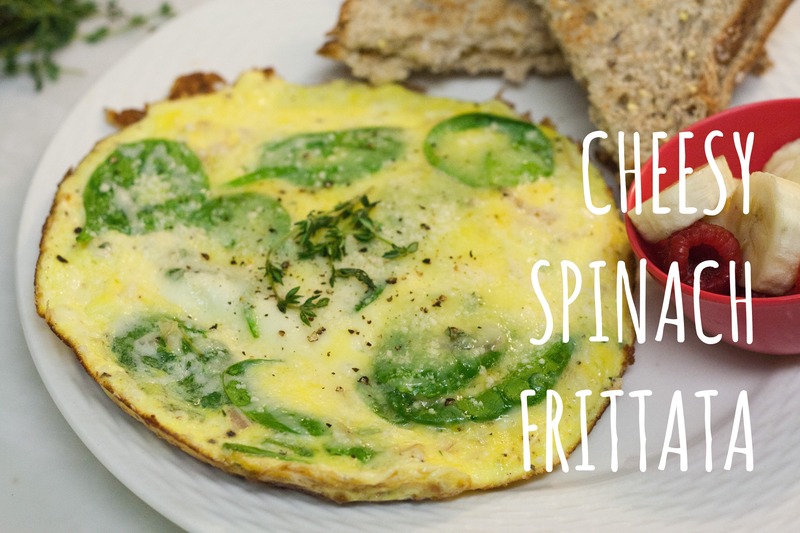 Here is a tasty breakfast that is quick, healthy, and very easy to make. There is no flipping required, and once the ingredients are in the pan, there’s no stirring or mixing. Now THAT’S easy. 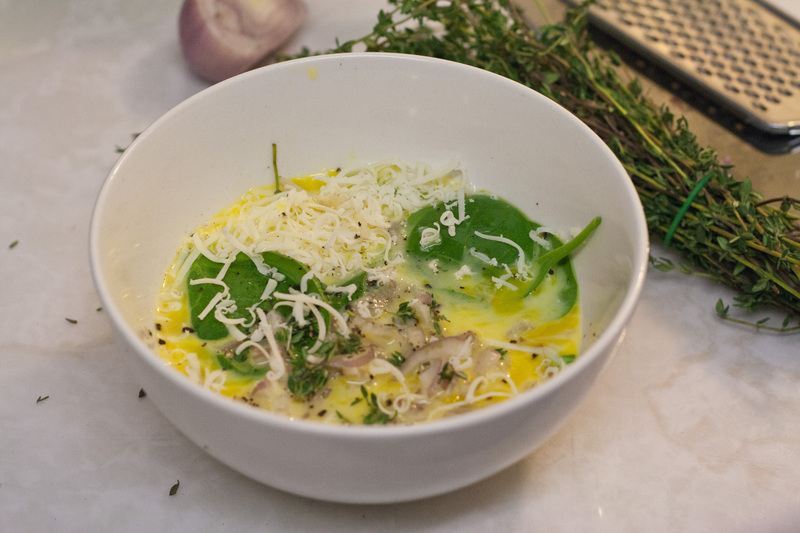 In a small bowl, crack the eggs, add ricotta, and a splash of milk. 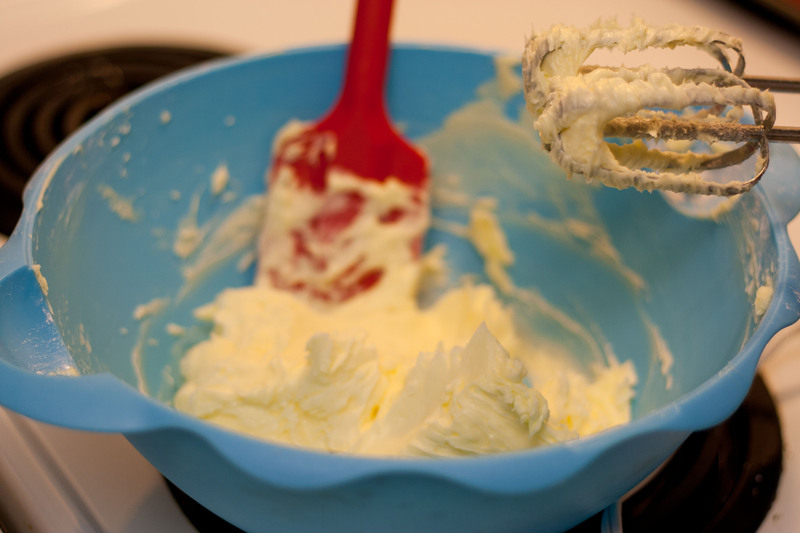 Using a small whisk or a fork, whisk together the milk, ricotta, and eggs. Add the spinach, shallot, 1/2 the mozzarella, thyme, salt and pepper. Give the mixture a bit of a stir so that all ingredients are coated in egg. 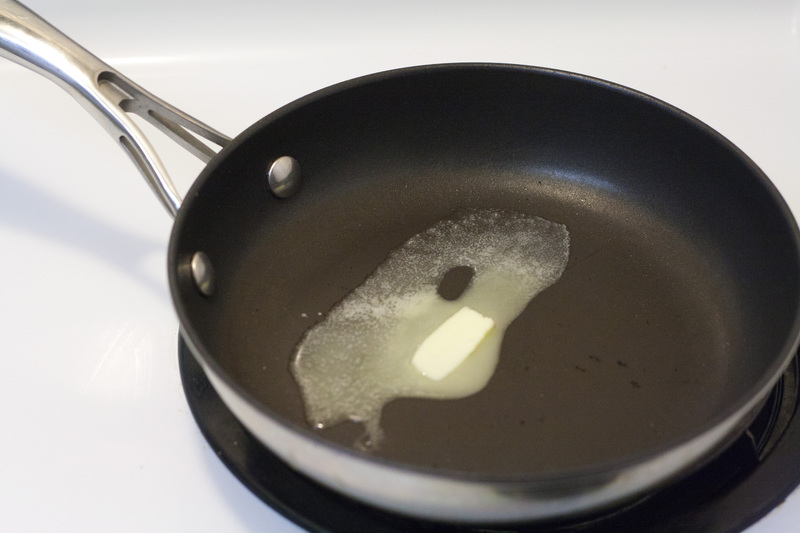 In a small frying pan over medium heat, melt the butter. Once completely melted, make sure the inside of the pan and its sides are evenly coated in butter. Let it bubble for a moment. 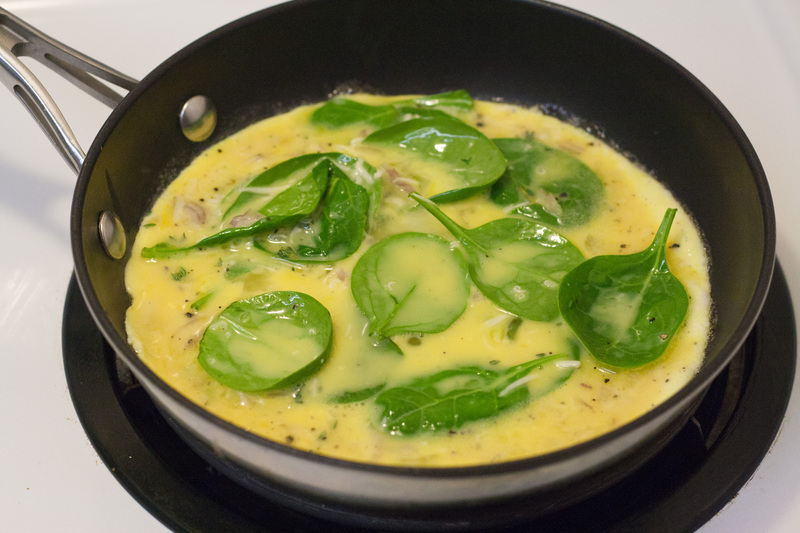 Immediately pour the egg and spinach mixture into the pan. 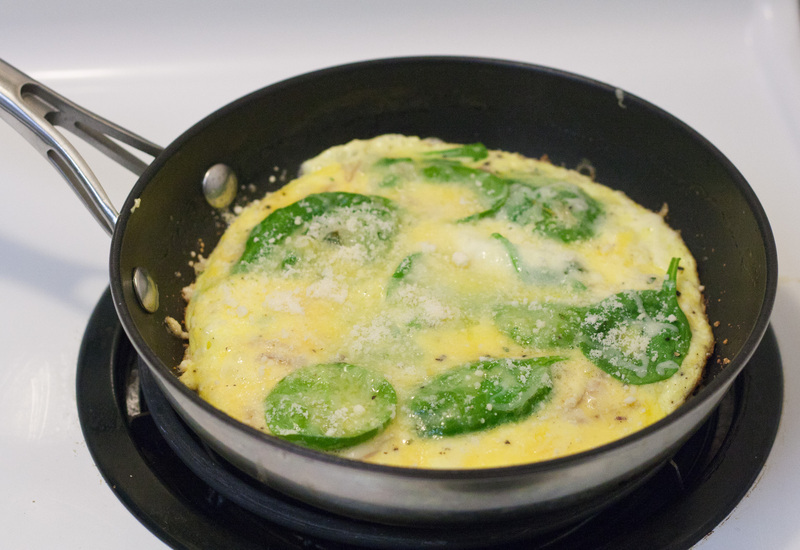 Occasionally, use a heat-safe rubber scraper to get under the edges of the frittata. While doing so, tilt the frying pan slightly; this will get rid of some of the runny egg that sits on top, and help to ensure that the bottom won’t burn or stick. Once the egg starts to solidify, add the rest of the mozzarella and the Parmesan. Lower heat, and cover with a lid for 1 minute. Transfer to a plate with the help of the rubber scraper. Add some more cracked pepper, garnish with extra thyme if desired, and serve with toast and your favourite breakfast sides, like fruit, bacon, or potatoes. For me, nothing says comfort food like potatoes! 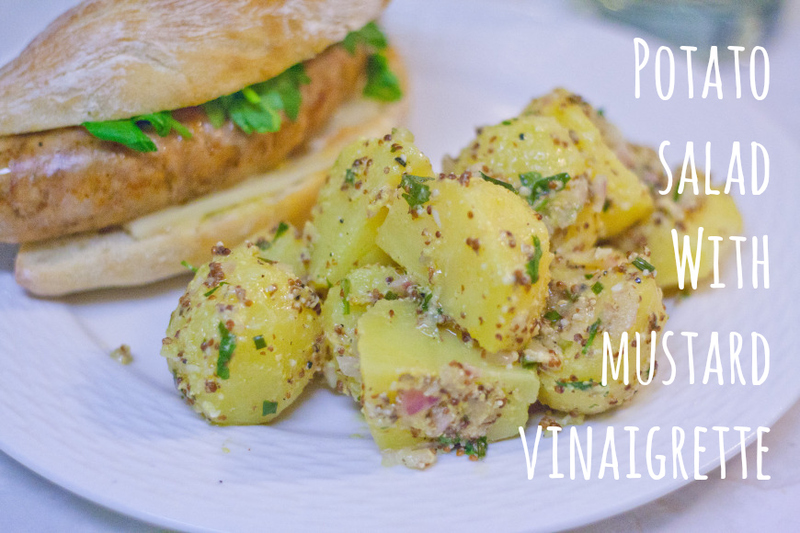 The other day, I picked up some local sausages and fresh buns, and decided that a potato salad would make a lovely side dish. I have never been a huge fan of creamy, mayo-based potato salads. I have had an intolerance to eggs for years now, so I’m sure that’s had a lot to do with it. 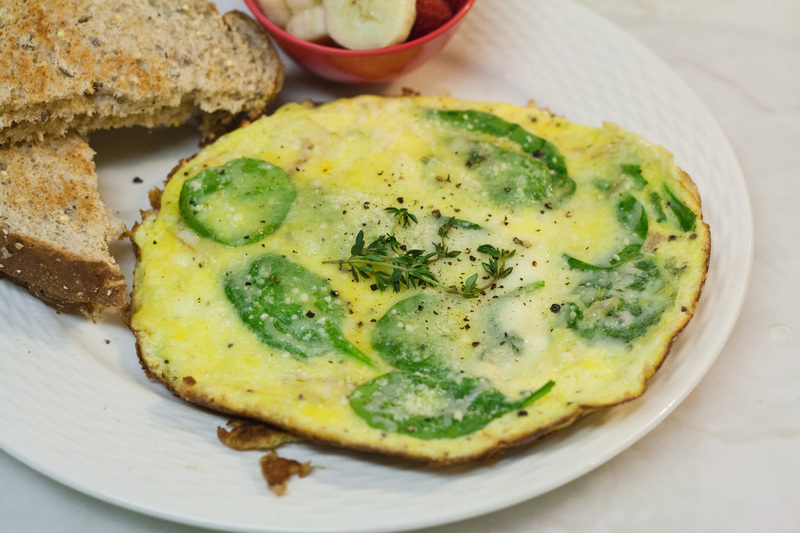 This recipe is tangy, has a nice kick to it, and is egg-free. Start by peeling, cleaning, and quartering your potatoes. Fill your pot with cold water, and add a cup of vegetable broth. This helps to flavour the potatoes, and the cold water helps to cook the potatoes evenly. Add the potatoes, then bring to a boil, uncovered. After about 5-6 minutes of boiling, start to check if the potatoes are done by poking them with a fork. They will be done once you can easily poke through without any resistance. 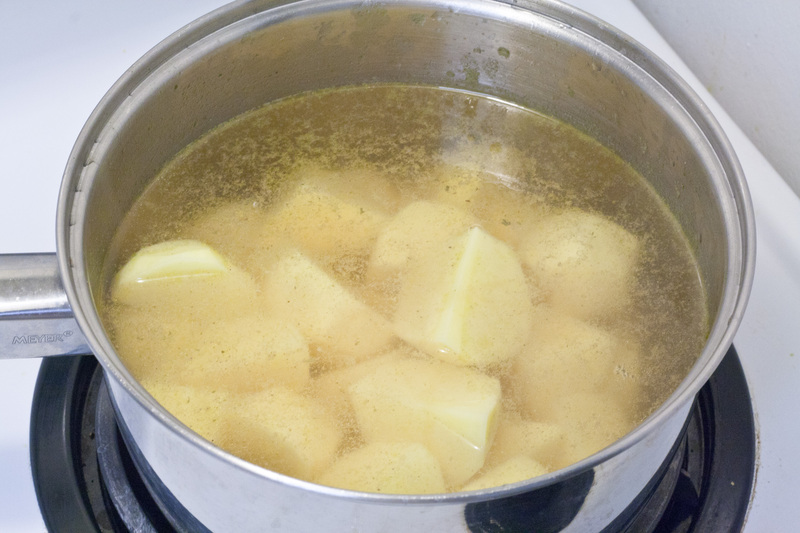 Once cooked, drain, and place potatoes in a large bowl. 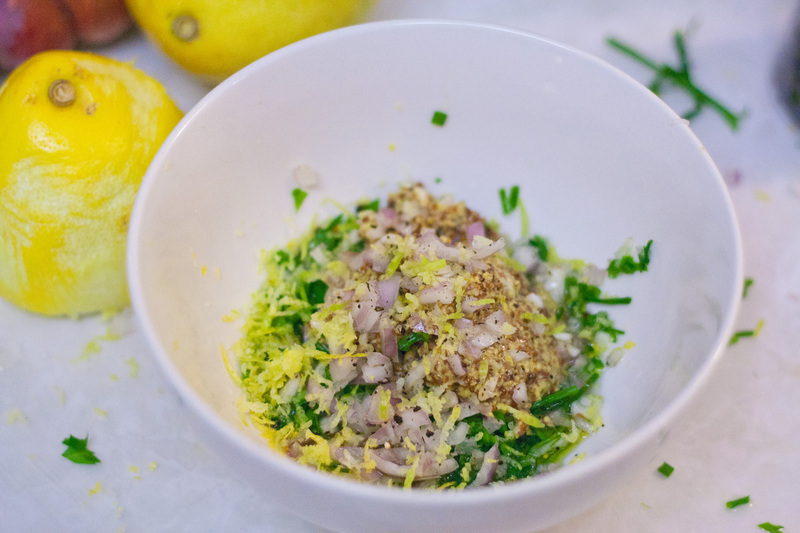 In a small bowl, add mustard, rice wine vinegar, lemon juice and zest, olive oil, shallots, herbs, cheese, salt, and pepper. Mix together. 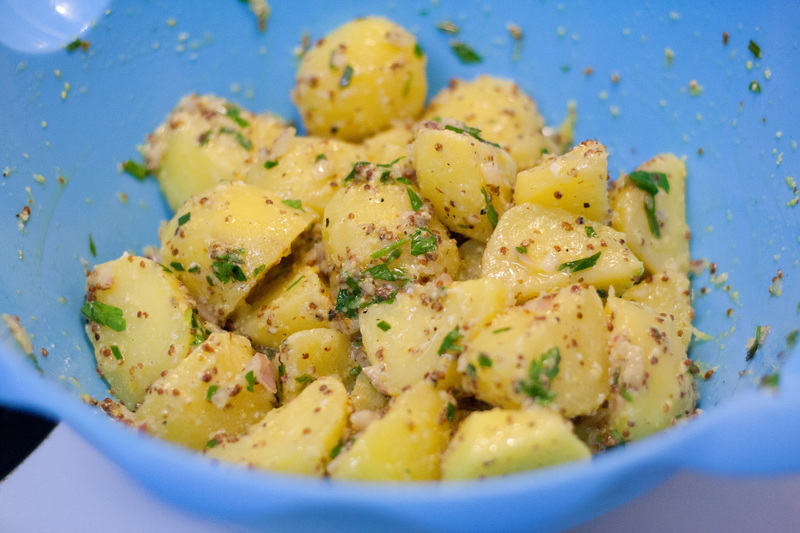 Add the mustard mixture to the potatoes, and stir so that potatoes are well-coated. Cover the bowl with plastic wrap, and refrigerate for at least 30 minutes, then serve.